As a company in the Chicago Suburbs, we have heard many a concern with the detached garage. Winter and summer both can make the walk to the garage seem like enough reason to attach your garage, but there are many visible and invisible benefits of choosing a detached garage. A detached garage can more easily reduce or even eliminate the garage-dominated facade that many find so unattractive. Further, if you have a small house, adding an attached house can overwhelm it. A detached garage can be a much more aesthetically pleasing option. A detached garage can be set at an angle to the house, or set back from the house. Detached Garages allow you to have windows on all sides of your house. With no garage attached to the house, think of what you could do with that space instead. A patio or kitchen garden might be more appreciated here. Maybe you could add a nice pathway from garage to house, enhancing the beauty of your property. In Spring and Fall, you might actually enjoy a nicely landscaped walk from the car to the house. A detached garage can more effectively serve as a tool shed or workshop, allowing the handyman of the family to work without disturbing the rest of the house. With this, comes safety. Any fumes that could occur from this work (varnish, paint, etc.) will be separated from the home and more effectively ventilated. 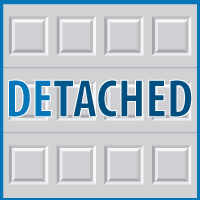 Detached Garages: Right for Your Home? Remember, the choice between attached garages is the middle ground between structural and personal. A detached garage is more akin to building a small house from scratch, including digging out and pouring a foundation, and then building your new garage from the ground up. 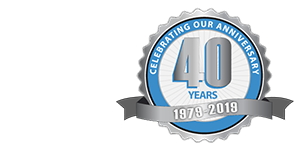 Blue Sky Builders can help you make the best choice, contact us today!